Minister for Information & Broadcasting, Shri Venkaiah Naidu announced various initiatives concerning different sectors at the concluding session of the 28th SIMCON which was organized by Ministry of I&B after a gap of 7 years. 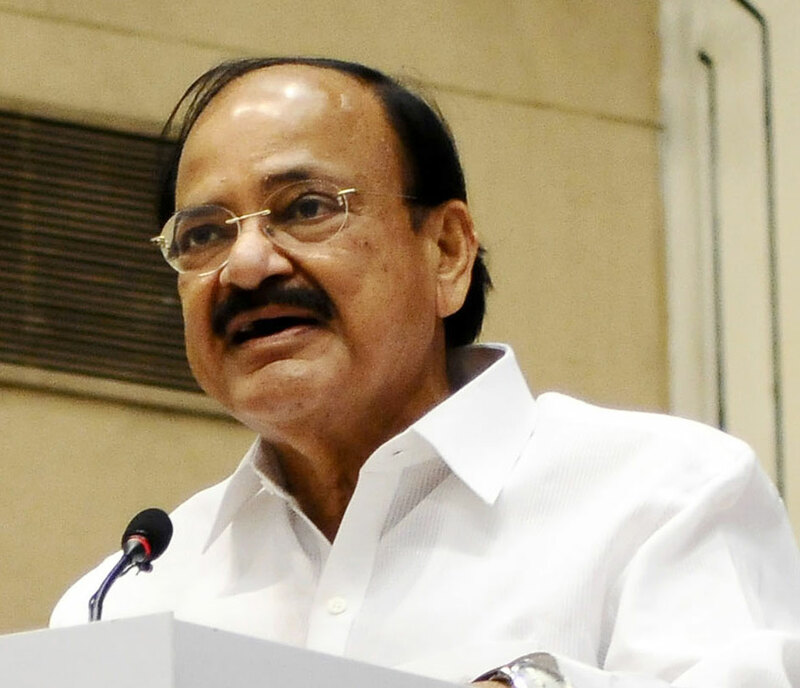 Shri Naidu announced a cash component of Rs. 1 Crore in the Most Film Friendly State Award to promote India as a Filming destination. In a major push to Community radio Movement in the Country, I&B Minister announced increased subsidy for setting up of Community Radio Stations from 50 % to 90% in the North Eastern States and 75% in other States, subject to a maximum limit of Rs. 7.5 lakhs. He also mentioned that the Ministry would be formulating a National Information & Communication Policy in consultation with States. Ministry of I&B organized a 2 day State Information Ministers Conference (SIMCON) in December, 2016 to promote the vision of One Nation & Cooperative Federalism. The spirit & philosophy of Cooperative Federalism entails every state as an equal partner and stakeholder in the Nation’s development process. The interactive forum involving States was revived after a gap of 7 years, keeping in mind the importance of Communication in Governance. The theme of the conference was Reform, Perform and Transform: A New Dimension of Communication. o Broadcasters who have been given the permission for Uplinking or Downlinking can continue their operations by simply paying the annual permission fee upto 60 days before the due date, which by itself will be treated as permission for continuation of the channel for a further period of one year. · A total of 170 channels have been given licences from Jun 2014 till Dec 2016. Of these, 25 licences are given to News channels and 145 licences have been to non-news channels. o The auctions for the second batch were held recently for 266 channels in 92 cities. o The deadline for implementation of Phase III of digitization was 31st December, 2015 while for Phase IV it is by 31st December, 2016. Recently Ministry has extended the cutoff date for Phase IV to 31st March, 2017. · Boost to Community Radio movement in the Country: In a major push to Community Radio movement in the country, Ministry has increased the subsidy for setting up of Community Radio Stations from 50 % to 90% in the North Eastern States and 75% in other States, subject to a maximum limit of Rs. 7.5 lakhs. · Swachhta Samachar: Special 5 minutes Bulletin on Swachhta has been started on all weekdays. The Bulletin includes important news stories, people’s initiative and feature stories related to Swachh Bharat Abhiyan along with a Swachhta Tip. o Single window clearance to facilitate film shootings by foreign film makers in India. · Swachh Bharat Short Film Festival organized by the NFDC on behalf of the Ministry, has received over 4000 entries from across the country in various Indian languages on the theme of the Swachh Bharat Mission. The key objective of the Festival was to generate awareness, inspire people and include them as stakeholders in the Swachh Bharat Abhiyan. Top 20 films selected were felicitated. o Iranian Film Festival - 14 films of the acclaimed and award winning film makers from Iran were screened. o European Union Film Festival – A total of 23 movies from the European Union countries were showcased. o The first ever BRICS Film Festival was held in Delhi – Twenty movies, four each from the five participating countries were selected for the screening competition. · Strengthening of the institutions to promote healthy development of cinema as a medium of communication through film festivals (Patriotic & Children Film Festivals) across the nation. · Shyam Benegal Committee constituted for holistic interpretation of the provisions of the Cinematograph Act/ Rules has submitted its recommendations to the Ministry which are expected to provide a holistic framework. · Ministry has also introduced a cash component of Rs. 1 Crore in the Most Film Friendly State Award to promote India as a Filming destination. · National Film Heritage Mission (NFHM): It is a new Plan Scheme to restore, digitize and archive films and filmic material through National Film Archive of India. National Film Archives of India in one of its rare discovery, NFAI acquired 20.43 minutes of the Indian Silent Film Bilwamangal (1919), thanks to the wonderful cooperation of the Cinematheque Francaise. It is after 21 years that a silent film has entered NFAI vaults. o Objective is to promote transparency and accountability in issuing of Government advertisements in print media and weeding out ghost/irregular newspapers. · Three member committee to address the issues related to Content Regulation in Government Advertising constituted as per the directions of Hon’ble Supreme Court. The committee is chaired by Shri B.B. Tandon, Former Chief Election Commissioner of India. · New Business Policy for Publication Division: The objective to streamline business practices in line with the contemporary trends prevailing in publications industry. The policy promotes online readership by pricing the digital version of the publication at 75% the price of printed version. It acknowledges the growing prospects of e-commerce and promotes sale of e- books of the division through online platforms. · Peoples` participation in Government Advertising through Crowd- Sourcing: The advertisement for important events being designed on the crowd sourcing model. An online contest was also organized by Social Media Cell of the Ministry as a part of 67th Republic Day celebrations. · Publications Division has released the E-version of the India/ Bharat-2016. Online payment and subscription services for popular journals and Employment News of Publications Division through Bharat Kosh Portal of Ministry of Finance. · Release of books on Rashtrapati Bhavan published by the Publications Division. Some of the books are “Around India’s First Table: Dining and Entertaining at Rashtrapati Bhavan”, “The Arts and Interiors of Rashtrapati Bhavan: Lutyens and Beyond”, “Discover the Magnificent World of Rashtrapati Bhavan”, “A Work of Beauty: The Architecture and Landscape of Rashtrapati Bhavan”, “First Garden of the Republic: Nature in the President’s Estate” among others. · A book on Courts of India- Past to Present published by the Publications Division under the guidance of the Hon’ble Supreme Court was also released. o The Diploma course in Urdu Journalism upgraded to the level of PG Diploma in Urdu Journalism of nine months duration from the current academic session i.e. 2016-17.
o As a new initiative, PIB Regional Units are organizing “Vartalap” in various regions across the country with regional media to interact &create awareness about the new developmental initiatives/schemes of the government. Regional Editors Conferences were organized in Jaipur, Chennai & Chandigarh.